Ever struggled with negative thought patterns? Wonder if you’ll ever be able to change your perspective on pain from the past? If you’re human, then you answered YES to both those questions. I’m excited to be hosting Kelly Balarie today on my blog. Her most recent book, Battle Ready, was recently published and it’s full of amazing wisdom on how we can renew our minds with God’s truth. We’re going to constantly have battles we face, so it’s essential to equip ourselves in preparation! Kelly writes with transparency and shares from the deepest parts of her soul. She knows herself how crucial it is to renew your mind. Enjoy her post today and make plans to get her book! Don’t doubt the power of your mind. This football-sized mass has the power to create and recreate everything in your life. This is why Jesus tells us not to conform to the pattern of the world, but be transformed by the renewing of our mind. If we renew our mind, it is like getting a re-do on life. Rather than continuing with old patterns, ways of doing things or habits, we get an upgrade. You know, when my boy was a baby: he spent nearly every waking hour of every night screaming crying. My mind now, occasionally hears that baby voice of his crying late at night. He’s 6. This traumatic time was emblazoned in my mind. The trauma is still there. The memory is still there. The fear is still there. Another example of this is my finger. When I was a kid I had to feel for a little bump on my right hand finger (where I sucked my thumb) to know the difference between right and left. I still when, deciphering right between left, mentally think about feeling for that bump. My mind was trained in this. When we experience something again and again, we expect it. We expect a husband to treat us a certain way. We expect pain to keep hitting us as it always has. We expect people to abandon us. Our mind tells us: this is normal. The pain you dealt with from back then is going to happen. …unless we renew our mind. To renew your mind is to dig up all the old lies, mistruths, perceptions and fears and to replace them with God’s truth, hope, life, grace and fullness. It is to break the power of what was, for Who Is. The I AM. I am not…, I am never…., I am going to…. Mistruths become truth when a woman dedicates herself to the biblical wisdom, practical application and habit-forming strategies that come with abiding in Christ. Do you know them? 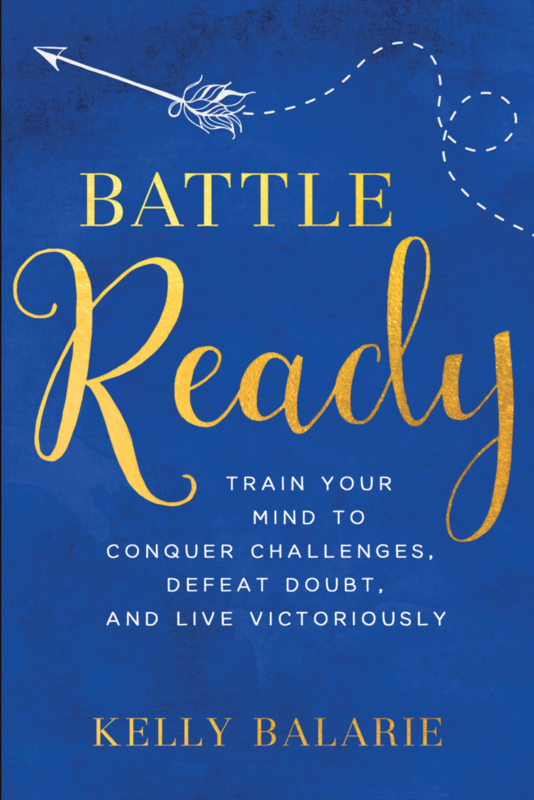 I wrote the book Battle Ready as a practical manual to help those struggling with doubt, discouragement, despair or devastation. The whole purpose of the book is to help you renew your mind with the Mind of Christ and to experience His freedom. Many are getting touched by this message. Lives are changing. People are finding new hope. Kelly Balarie, an author and national speaker, is on a mission to encourage others not to give up. Through times of extreme testing, Kelly believes there is hope for every woman, every battle and in every circumstance. She shares this hope on her blog , Purposeful Faith, and on many writing publications such as Relevant, Crosswalk, and Today’s Christian Woman. Kelly’s work has been featured on The Today Show, 700 Club Interactive, Moody Radio and other television and radio broadcasts. When Kelly is not writing, she is chilling at the beach with her husband , a latte, and 2-toddlers who rightfully demand she build them awesome castles. Standing on the edge of the shore, I peered out into the ocean as far as my eyes could see. Way out there, the waves appeared so huge and powerful. I sure wouldn’t want to be caught out there! Those waves would crash over me, taking me under to be drowned. Caught up in anxious thoughts, the water suddenly splashed around my ankles. The bubbling water refreshed my tired feet, white foam tickling my toes. This felt invigorating and relaxing as my feet sunk into the wet sand. Soaking up the moment, I peered out once again at the huge waves in the distance. And that’s when it hit me. The threatening waves that started out enormous, had gradually diminished into tame wavelets by the time they reached the shore. What was viewed from a distance invoked fear and anxiety. But when viewed up close, now tame and subdued. This image paints a powerful picture of what we do with the fears and worries of our life. When we peer into the distant, unknown future, our minds get tangled up in waves of anxiety. Things that haven’t even touched us yet threaten to pull us under, drowning our faith with fear. What will I do IF that happens? How will I survive IF they do such-and-such? I will surely crumble IF this comes true. While these enormous waves of fear build their power and momentum, we allow defeat to crash over us, drowning out every ounce of peace and joy. Wait for those fears to lose their momentum. Wait for those threats to diminish. Wait for those worries to dissipate to wavelets. By the time our “what ifs” reach the shore of reality, we will often realize that the very things that once threatened to drown us, are now tame ripples we splash with our feet! The things that appear powerful are now powerless. The things that seemed overwhelming are now manageable. The things that looked impossible are now hopeful. In past seasons of my life, I’ve allowed the waves of fear to pull me in. I’ve allowed my thoughts to run wild with worry instead of letting God’s peace soak up my parched soul. I’ve learned that when I live my life out in the distant waves, I can’t possibly enjoy the abundant life back on the shore. On the shore there is solid ground. On the shore I can stand still. On the shore I can soak up the sunlight. Just as the bubbling water foams around my feet from the broken waves, God’s presence and peace soothe my aching soul. So how do we live on the shore when the waves threaten to drown us? I truly believe the secret is where we focus our eyes. I can glance at the waves in the distance, but I don’t stay there. I can get a glimpse of an approaching storm, but I don’t get caught up in it. Instead, I focus in the other direction. The day I stood on the beach at the edge of the shore, I turned around and heard the laughter of children. Their shrieks of joy drew me in. They were picking up shells. They were running back and forth, splashing in the ripples. Some were flying kites, throwing balls and building sand castles. They were too busy having fun to notice the huge waves in the distance. They lived in the moment, enjoying the blessings of life. I didn’t see any child looking out and focusing on the waves that could swallow them up if they drifted out. I didn’t see any child paralyzed by fear, refusing to budge from their beach chair. Maybe this is a picture of what it means when God tells us to become like a little child. A child playing on the shore, refusing to get pulled under by the waves of fear. A child trusting their father to take care of their every need. Where are you today? Are you living in fear from the “what if’s”? Are you letting the waves of worry control your every move? If that’s where you are, I urge you to turn around. Walk upon the shore. Trust God with the things that seem to threaten you. Enjoy the abundant life He wants you to have. Surrender to Him your fears and worries you see in the distance. I pray that the peace of His presence will refresh your tired and weary soul. I’d just finished composing an important email that needed to go out. All I had to do was hit “send” and I’d be on my way to the next task of the day. But the Wi-fi signal dropped out and my email couldn’t go through. My daughter needed one last piece of information from the Internet for her school work. After carefully searching for what she needed, I was ready to print. But no. The printer had a mind of its own and stubbornly decided it wasn’t going to print in that moment. You’ve got to be kidding me! I need this right now! I had just enough time to get to my appointment as I happily drove down the highway. Christian music blasting and the sun roof open, I sang cheerfully, soaking up the beautiful afternoon. But suddenly I had to slam on my brakes as traffic came to a screeching halt. A slow truck pulled a trailer behind it, at a whole 25 miles per hour. I was going to be late now! More often than not, I’ll humbly admit that my level of patience is not good in these moments. Technology and Traffic. These are the two things that–when they aren’t going my way–try my patience more than anything. Instead of letting the Holy Spirit work patience in me, I frequently choose to let my flesh drive me in the opposite direction. A direction leading to a quick-tempered attitude. According to the scripture above in Proverbs, this displays folly. Folly? A fancy word for sin. This is where the process of sanctification takes place. The areas in which we are most weak are where God wants to work His character in us. The situations that drive us most crazy are where God wants to usher in His peace to replace our impatience. I honestly feel like a failure in these moments! The moments where I’ve lost my patience and embraced my flesh instead of finding God’s power and following His lead. What about you? Can you identify the areas of your life where you seem to lose your patience most often? The moments that trigger the worst in you? The moments when your calm spirit quickly turns to a chaotic sass? God is showing me that these are the very opportunities He allows for me to turn to Him. These are the moments in which I get to decide to follow my flesh or surrender to Him. As a teacher continues to test his students until mastery is achieved, our loving Heavenly Father continues to let us encounter these moments until His character comes through. So the next time I blow it (yes, it will happen! ), I can soak up God’s grace and forgiveness and trust that He will give me yet another opportunity to try again. For me it’s traffic and technology. For you it might be something else. But whatever it is, as long as we live on this fallen earth, there will be ample opportunities for God to work patience in us in our most trying moments. Exciting News- Book on the Way! I’m elated to let my blog subscribers know that I recently secured a book deal! If you’re on Facebook, you might have already seen my announcement last week. This has been in the works for some time now and I’m excited to enter the publishing phase of this journey. 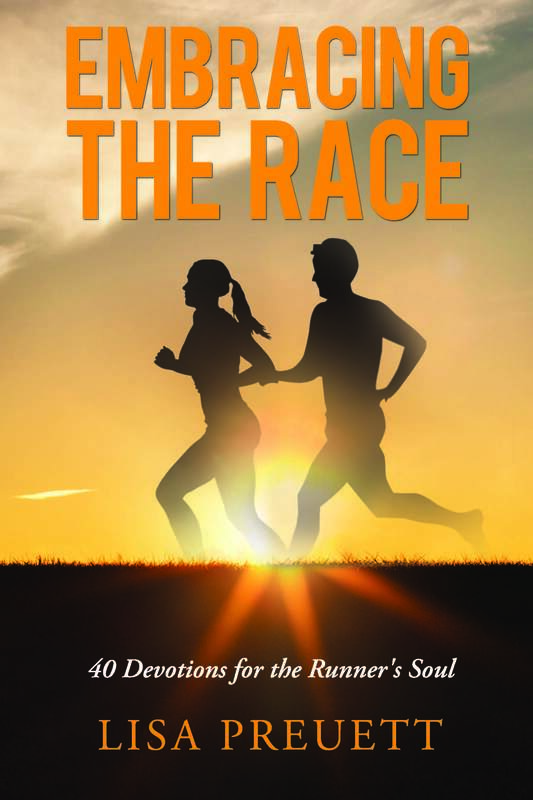 The book is a 40-day devotional about the parallels between running and our Christian walk of faith. Now I know that many of you wouldn’t classify yourselves as runners, but please don’t dismiss this book as something not applicable to you. He painted a vivid picture of what our walk with Jesus should be like. Everyone in that time was familiar with the terminology because of the popular and competitive foot races people flocked to. 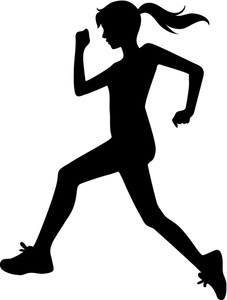 Many of my posts in this last year have been about running. Thanks for your support and encouraging words along the way, especially if you’re not a runner! Thanks for taking the time to subscribe to my blog and allowing me to enter your world through email! I’d appreciate your prayers in the days ahead for God to use this book to reach those who need encouragement, hope and inspiration as they embrace their race in this life. I’ll keep you posted on the details and let you know when the book will be launched. Until then, I’ll keep posting encouragement to inspire you when life gets weary. May you keep running your race of faith one step at a time! Why do we get excited to see a friend request? Well, someone has searched for us and wants to specifically be a part of our social media world. You have a choice though to either accept or ignore this request. 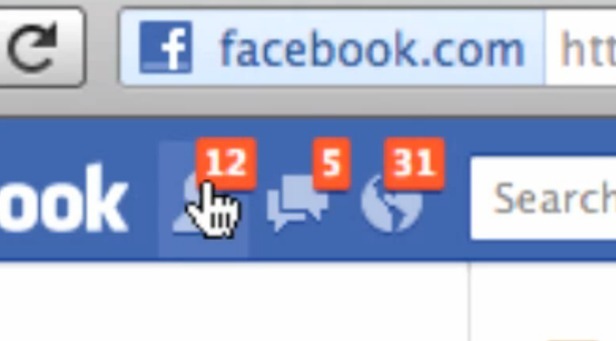 Once you’ve accepted, this person becomes part of your Facebook world….a window into your life. It’s a big deal to get a private message from someone! One of your friends is seeking you out with a specific message intended just for you. Someone knows you well enough to ask you a question or connect with you on a deeper level. You can reply back with confidence that nobody else sees your words because of the security attached to this private feature. And what about all those notifications? What’s it really mean?It might sound simple, but the more active you are with posting comments and pictures, the more likely it is that people will give you feedback. Ultimately it’s the evidence of interaction. The more you are actively engaged on Facebook, your social media life becomes more intertwined with others. Friend Requests: Because of what He did on the cross, Jesus has sent out a friend request to ALL people. Each and every person on this earth is extended a friend request from Him. He seeks them out specifically desiring to enter their world, and ultimately their heart. They have the choice to accept or ignore that request. Messages: After accepting the friend request from Jesus, your relationship becomes personal. The Bible is God’s message for all followers of Christ. But the way He speaks to us goes even deeper than that! There are private messages He communicates to us through the Holy Spirit, living inside each uniquely designed follower. He knows you well enough to meet your deepest longings. And you can pour out your heart directly to him with confidence. Confidence that nobody else knows what you just prayed–with security that He’s heard you. 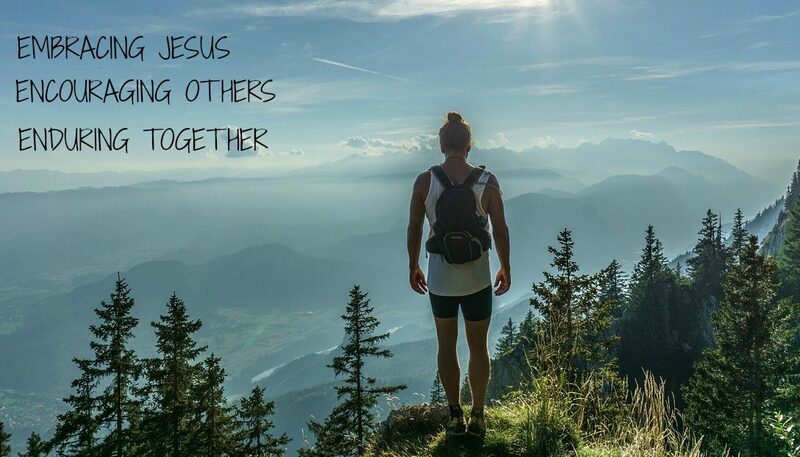 Notifications: Once you’ve embarked on a genuine journey with Jesus, you get involved with other followers. You do life with them. You celebrate your joys together as well as grieve through the tough times. You can’t do this alone by any means. You need the body of Christ. He also calls us to fulfill the great commission…to become fishers of men. This is where we go beyond ourselves and reach out to others. We invite them into our lives. We pour into them. We build them up to go out and do the same. Just as Facebook notifications are evidence of involvement, our ministry to others is evidence of our faith. It’s our FRUIT. So where are you, dear friend? Have you accepted His friend request?I pray that you have! But if you haven’t, the request is still valid. Call out to Him today. If you are His child, are you seeking Him with all your heart and soaking up His word?Are you being still enough to hear His message–that gentle whisper? Are you calling out to Him? Rest assured that He hears you. He knows you. He loves you. What do your notifications (FRUIT) look like? Are you walking alongside anyone? Pouring into those who need help? Reaching out to those co-workers who seem hopeless? Building relationships with your neighbors? Ask God to give you courage to step out of your comfort zone and get involved. He doesn’t suggest this. He commands it. And what He calls us to do, He promises to equip. Next time you’re checking your friend requests, messages or notifications, let it be a reminder to check the condition of your heart and see if you’re where Jesus wants you to be. Fourth grade math has been a struggle for my daughter this year. One day recently she got “stuck” on a problem and burst into tears. She picked up her math book and flipped through the many pages of lessons still to be completed for the rest of the year. Look at how much I still have to do this year! I’ll never get through this silly book. I just can’t keep going! I uttered a desperate prayer asking God to help me encourage her in that moment. How could I get her “unstuck” out of her moment of frustration? How could I keep her focused? What could I possibly say to encourage her? She kept flipping through those pages mindlessly. The last third of the book was still left to be done. And then it hit me! I picked up her math book and instead of pointing out the pages she still had left to do, I pointed out the pages she’d already completed….the first two thirds of the book! Look here….you’ve already finished these pages! There are more pages you’ve completed than pages you still have left to go. You’re going to get through this because LOOK HOW FAR YOU’VE COME! Her frown turned into a half smile. Then she heaved a sigh of relief. She picked up her pencil and kept going. God has a way of speaking to me through my daughter’s struggles. As I watched her continue her math problem, He spoke loud and clear to my heart, reminding me that we can get overwhelmed when we focus too much on what lies ahead of us. We often lose sight of how far He’s brought us in certain areas because we’re so consumed with what’s up ahead. We fear the future. We stress over the uncertainty….the unknown. While we are saying, What if? What if? He is saying But look! But look! Look how far you’ve come. Look how I’ve carried you. If I carried you this far, I’ll keep carrying you every step of the way. Sometimes we just need to stop and take a look back. Not looking at past sins that are forgiven. 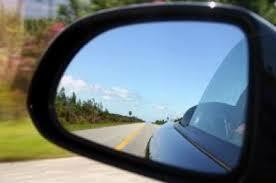 Not looking at the past in ways that cause us pain or regret. But simply looking back at how much we’ve grown in our faith. Take a look back and remember from where you’ve come. Areas of your life have changed drastically. You don’t react the way you used to. Sins you were once tangled up in are now memories of the past. Yes, you still have a way to go, but look how far you’ve come. God is faithful and He will continue what He started in us. If He came through for you in the past, then He will carry you through today. He will carry you through tomorrow. And next month. And next year. So where are you “stuck” at this season of life? Stressful job? Difficulty in your marriage? Tension with your kids? Uncertainty with your finances? Do you feel like you just can’t make it through this time? Feel like throwing up your hands in disgust? Doubting that there is no way you can get through this current struggle? Whatever it may be dear friend, I encourage you to stop and reflect. Take a deep breath and be still. Ask God to direct your thoughts back to where He’s provided. Back to where He’s healed. Back to where He’s strengthened you. Back to places you thought you’d never come through. Yes, you are going to make it! Yes, you are going to get through whatever it may be. Yes, because LOOK HOW FAR YOU’VE COME!